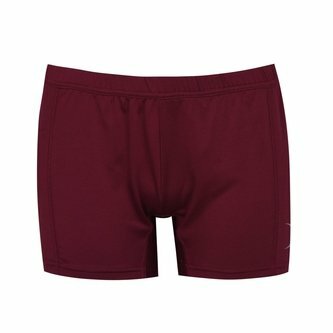 The Eclipse II is the latest edition of the popular lycra netball short from Gilbert in a Maroon colourway. These shorts are the perfect addition to your netball wardrobe whether it's for training for a match. They are made from a stretch fabric and have a spandex base layer which enhances the player's comfort and increases movement. This colourful undergarment is good to wear with a netball dress or skirt.